Welcome to happiness for your pets and peace of mind for yourself. Licensed, Insured & Bonded Pet Sitting and Dog Walking Services beginning at only $17. Owners: Marcia and Michael Nazarek, Henderson, Nevada. Local residents since 2003. 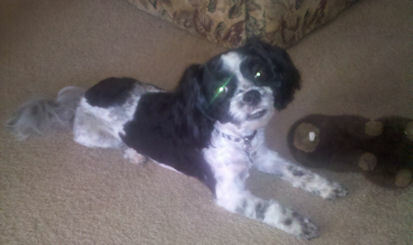 Paw Minders Plus Pet Sitters is a professional pet sitting and dog walking service located in Henderson, NV. We give your pets love and care as pet sitters when you are away... IN YOUR HOME. We take this job very seriously, and treat your pets like we treat ours, with lots of love. By choosing Paw Minders Plus, your pets won't go through trauma and stress often related to boarding at a kennel or veterinarian's office. We take the worries away, for both you and your pet. As of February, 2019, we have serviced more than 300 happy client families! Remember, we're pet tested and owner approved with dogs, cats, birds, rabbits, gerbils, hamsters and fish! Call us today at 702-558-6115 to schedule a free in-home pet sitting consultation. We accept cash, checks, and money orders. We provide services to the following zip codes: 89002, 89011, 89012, 89014, 89015, 89052, 89074, 89123, & 89183.